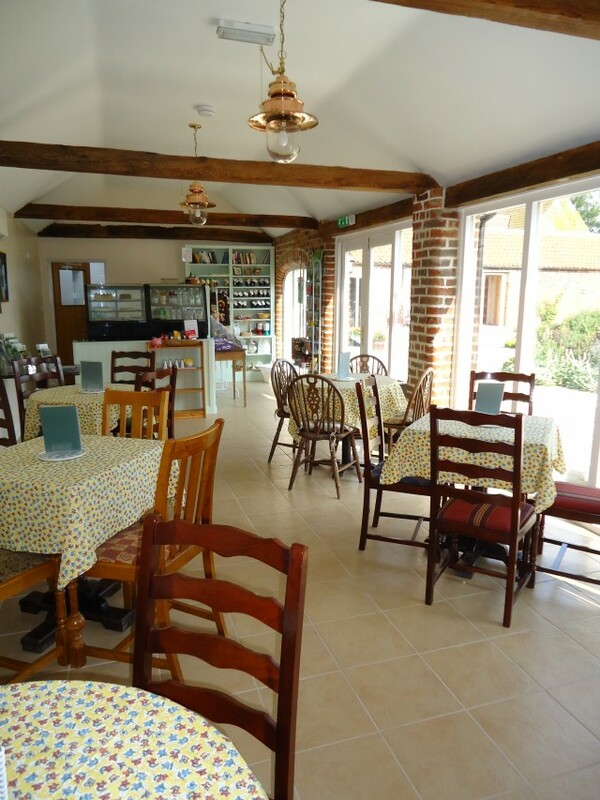 Our family-run tea shop is the perfect way to enjoy wonderful views over the gravel garden whilst enjoying some delicious homemade refreshments. Lesley bakes a variety of cakes, biscuits and other scrumptious treats, as well as light lunches made to order in her on-site kitchen and we serve a wide range of drinks to satisfy even the thirstiest visitor! Almost all of the ingredients come from our own garden or from local sources, so we can be sure that they are the freshest and tastiest around! The tea shop also sells locally-made gifts, free-range eggs from our hens and Lesley’s homemade preserves made from our own fruit and vegetables for you to take home. We are now doing a traditional Sunday Lunch in the teashop once a month, for which the menu and date for the forthcoming lunch are published below. The menu changes daily so do pop in and see if we can tempt you. Our tea shop is open whenever the garden is and it’s FREE to enter. Goltho Gardens, Lincoln Road, Goltho, Market Rasen, LN8 5NF.